Mega Dropper Easter is a continuation of a series of popular maps for Minecraft PE called Dropper, in which you have to jump from a great height and try not to break. You will see the 8 new levels that you will need to complete and find the Easter Bunny in this part. This map is much easier to previous parts, but if you're a Dropper fan then you will love this part. 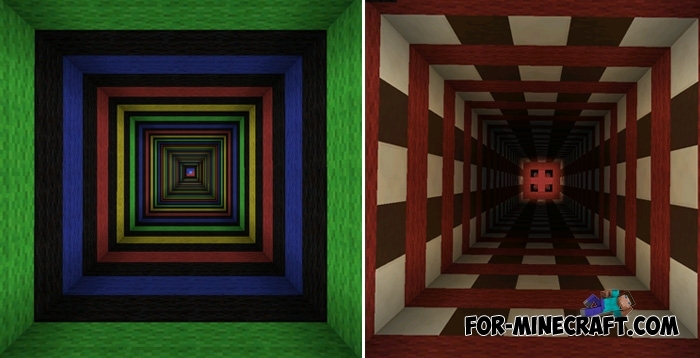 Mega Dropper 4 map for MCPE 0.14.0Amazing series of maps for Minecraft Pocket Edition is back! Mega Dropper map for MCPE 0.11.1 / 0.11.0This map is based on the original "The Dropper game". The Killer Bunny Mod for MCPE 0.10.5 / 0.10.4Be careful with this rabbit! This version works fine, but rather complements Rabbits mod that adds Minecraft PE in the same rabbits, but ordinary.